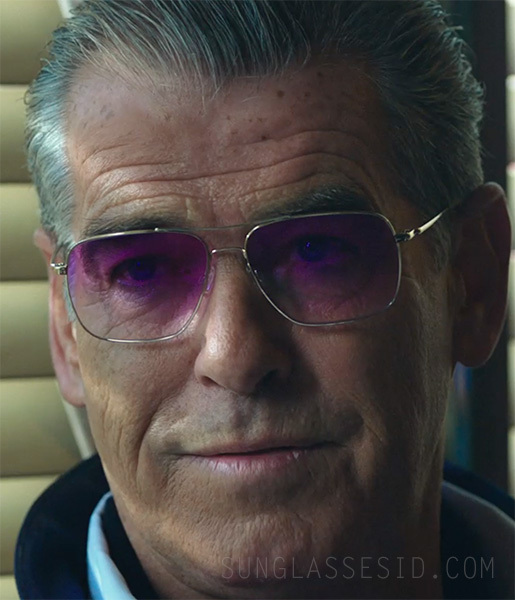 Pierce Brosnan wears Oliver Peoples Clifton sunglasses in the movie Urge. 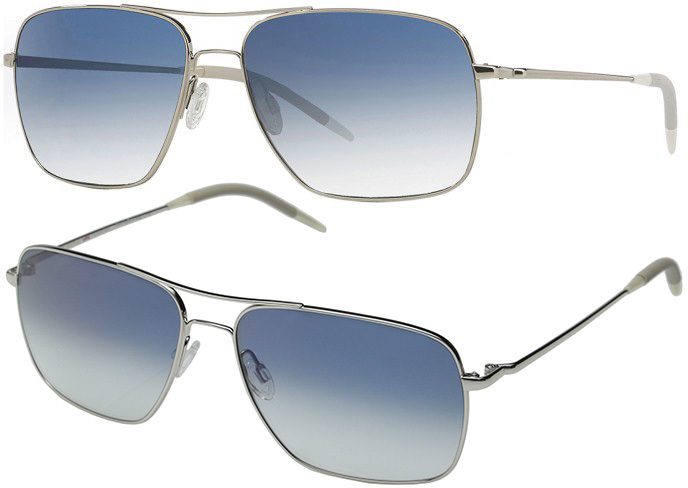 The glasses can be recognised by the shape of the frame, and especially the shape of hinge (compare on the photos on the left). 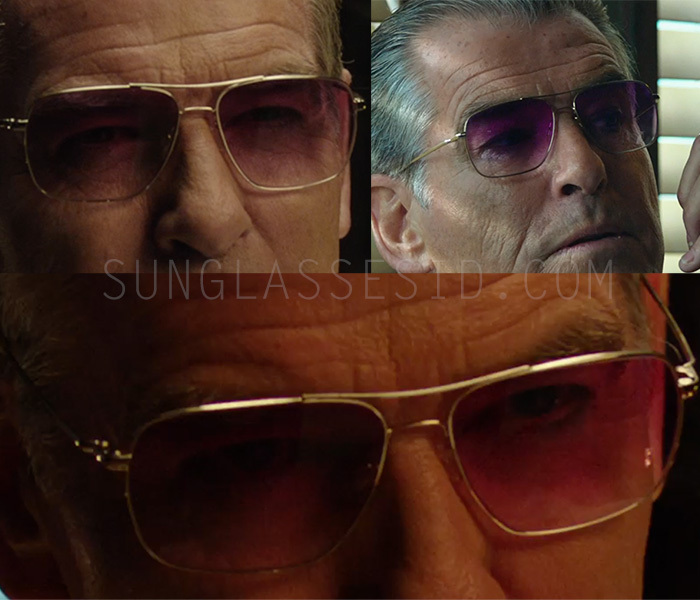 It is difficult to see if the Oliver Peoples Clifton frame worn by Pierce Brosnan in the film is gold or silver color. The lenses are custom pink gradient lenses. Oliver Peoples offers standard three color combinations of this frame: Silver frame + Chrome Sapphire VFX Photochromic Glass, Gold + G-15 VFX Polar Glass and Matte Black + Graphite Polar VFX+ Glass. In the movie Urge, former James Bond actor Pierce Brosnan plays Daemon Sloane/The Man, a mysterious nightclub owner who introduces a group of friends to a new designer drug.